Flip a coin. If heads, Derp Corgi will predict the Defending Pokèmon's attack, and dodge it. Flip a coin. 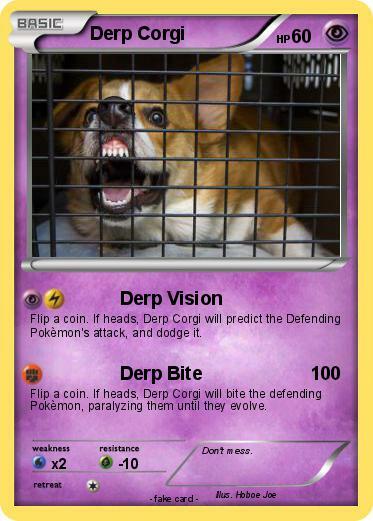 If heads, Derp Corgi will bite the defending Pokèmon, paralyzing them until they evolve.